Leaving the European Union could make it harder for Britain to make its own laws, and may even prevent us from reaching our full potential. Sure that’s the exact opposite of what we were told in the run up to the referendum, but it’s true. But Brexit could actually make it harder for us to take back control. Since we’ve decided to leave the EU, we’re going to be making trade deals, deals that could impose worse conditions on Britain than Brussels ever did and undermine our freedom to protect our air, water and green spaces or tackle climate change. That’s because Britain’s economy is significantly smaller than the three biggest trading blocs in the world: China, the United States and the EU. Britain attempting to negotiate trade deals with these blocs is a bit like Liam Fox getting in the ring with Lennox Lewis. It doesn’t really matter what Fox comes up with; he’s just not as strong, and Lewis can do pretty much whatever he wants. As Assistant Professor Swati Dhingra from the London School of Economics puts it: “It’s likely that we will attempt to negotiate trade agreements with China, India, US. Remember, too, that if we were to opt for a “hard Brexit,” (i.e. leaving the single market) the UK would be starting from scratch with these countries, with no trade arrangements beyond its likely continued membership of the World Trade Organisation — though even that is not guaranteed. The government will be desperate to strike a deal quickly, and already faces a daunting skills gap on the trade negotiation front. It’s entirely possible that the world’s biggest economies will try to force the UK to amend its laws, and there will be very little we can do about that since we will no longer be part of a giant trading bloc ourselves. In fact, for many Brexiteers this doesn’t seem like such a bad thing. Top Tory Jacob Rees Mogg, for one, thinks Britain should slash its environmental and safety regulations on imported products. If it’s good enough for India, it’s good enough for us, he said at a select committee just the other week. So what powers will we actually have to keep people safe when they’re buying products that have been shipped here from bigger, more powerful countries? And with each trade deal coming with its own rules on what laws we can and can’t make – even its own court system – in what meaningful sense will Britain be able to make its own laws to protect our social and environmental rights? These are the key question Brexiteers need to answer as they enter into trade negotiations. It starts with the goods we import. Take China for example. In 2011, research found that lead was present in one third of all Chinese toys. The US Centre for Disease Control and Prevention says there is no safe threshold for lead exposure and that children, if possible, should never be in contact with it. Researchers even tested a green toy ring from China, and found that it contained more than 1,200 times the amount of lead permitted under European safety standards. British children have always been safe from this thanks to the EU children’s toys directives, which – along with the rest of EU law – will be transposed into British law next year as part of the Great Repeal Bill announced by Theresa May at the Conservative Party conference. This Bill, however, will mean that parliament can water down or even scrap European standards once Britain formally leaves the EU. Will the government be able to – or even want to – maintain the kind of safety standards that protects our children from toys full of lead? Would it be a bargaining chip in trade negotiations with Beijing? Similarly, Brexit could have huge implications on the food Britain imports from other countries. In 2015, the European Commission brought in regulations to limit the amount of arsenic in rice, particularly for babies and children. As we negotiate new deals with countries like China and India that sell us rice, we need to keep those standards in place, something which will be far harder than when we were one of 28. Now Britain has to go it alone, and foreign companies and governments spy an opportunity. There are a number of multilateral trade deals at varying stages of development, with the most famous of which – TTIP and TPP – appearing to be permanently derailed this past year. The Trade in Services Agreement (TISA), however, is still on track, despite major leaks (including one released by Greenpeace Unearthed in September). The deal – which, as the name suggests, applies to the trade of services rather than goods – contains clauses that actually undermine the ability of governments to make their own laws, some legal experts have suggested. One such clause is something called the ‘ratchet’ – which makes it virtually impossible to reverse privatisation – even if we elect governments precisely to nationalise services including, potentially, energy companies. TISA would also make it harder for Britain to introduce new regulations, with other members of the deal able to challenge any new legislation it deems ‘unnecessary’ – which would be handled by a dispute panel like those run by the World Trade Organisation. This could mean we’d have less power over our trading laws than we did when we were part of the EU. Only 1 in 44 of the ‘right to regulate’ cases overseen by the WTO has been won by government looking to introduce the rule. What about the Comprehensive Economic and Trade Agreement (CETA), the EU-Canada deal put forward by the British government as a blueprint for future trade deals? First off, this deal – like the now toxic TTIP – legislates for a secret supranational court system for multinational corporations to sue governments over ‘unfair’ policies. Couple that with recent revelations that Canada has particular problems with the EU’s chemical regulations – making more than 20 complaints at the WTO – and you can smell trouble. As with TISA, a CETA type deal will give other countries the right to meddle in our laws and undermine the ones they don’t like. 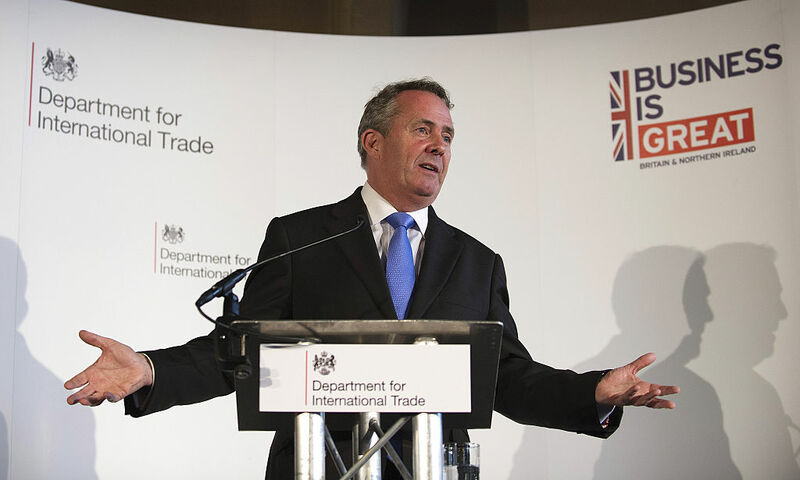 Trade agreements are complex things, and whatever Liam Fox would have us believe, it’s not as simple as dissolving old ones and then being free to do whatever we like. If the government decides to leave both the EU and the single market, Britain will have to completely renegotiate a whole set of new deals without the economic power of 27 other countries on its side. The likely outcome of this is that bigger countries will be able to tell us which regulations they want us to get rid of, and which ones they want us to adopt. So it’s true that we will no longer have to follow orders from Brussels when it comes to making our own laws; but we may have to do what other, bigger countries say instead. Many massive trade deals have fallen apart in recent years, because millions of activists across the world have campaigned against them. We can stop our government riding roughshod over our rights and safety in the rush to secure deals. But to do so, we’ll have to make our voices heard, because if we don’t the only voices the British government will hear will be the voices of the Chinese and American interests.